Film is the great entertainer. Movies thrill, enthral, make us laugh, make us cry. Film can be the friend we turn to for happiness and escape. Here are ten movie experiences that can turn a frown upside down. This is our top 10 happy films. You watch a new Pixar film and think – they can’t ever top that. It happened with Finding Nemo, then Ratatouille, then Toy Story 3. Then came Inside Out. Finally, we can say without any doubt, Pixar has produced its finest work. 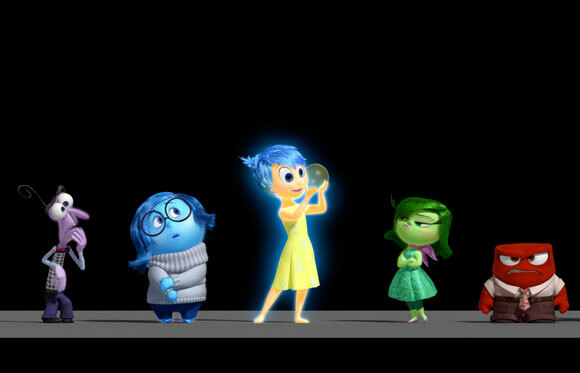 The film, about a little girl’s personified emotions as they deal with the family’s move from Minnesota to San Francisco is another stroke of genius from Pixar. A lovable, adventurous, re-watchable slice of cinema; film at its most delightful and feel-good. 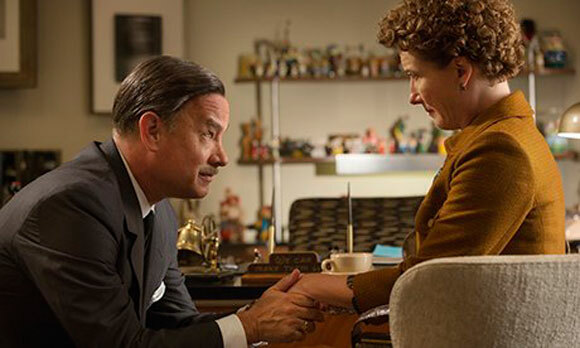 When I wrote my review of John Lee Hancock’s wonderfully inspiring Saving Mr. Banks I titled the piece “Film Gives Us The Happy Endings Life Sometimes Cannot”. It’s fitting here and the reason why I include this relatively recent effort in my top 10 happy films. 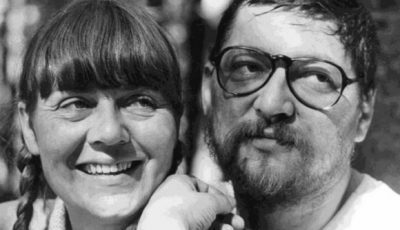 Hancock’s comedy-drama follows the exploits of Mary Poppins creator P.L. Travers as she comes to Hollywood to work with Walt Disney in adapting her magical character for the silver screen. It’s a funny, heartwarming film with two delightful performances from Tom Hanks and Emma Thompson. The happy film that tops so many people’s “best of all time” lists, Frank Darabont’s sentimental prison drama has many moments of warmth, friendship and courage that underline its ability to lift the viewer’s spirits. 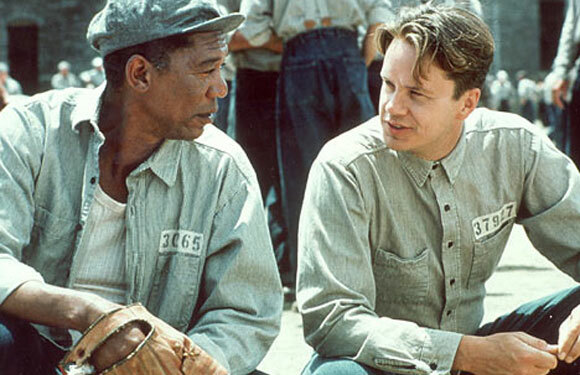 It isn’t surprising, given its popularity, to see The Shawshank Redemption feature in so many lists on Top 10 Films including Best Picture Nominations That Didn’t Win, Morgan Freeman “Twosomes”, Weepies, Inspirational Movies and Stephen King Character Adaptations. A happy film that beautifully illustrates the value of life and the importance of making the most of it. 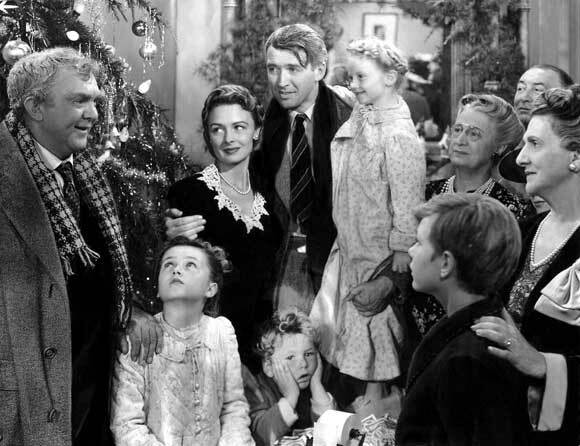 It’s A Wonderful Life is Hollywood’s antidote to low serotonin levels. James Stewart is wonderful, exhibiting that everyman charm and tender voice in a moving, life-affirming film. Not all happy films have to be funny. But it does help. 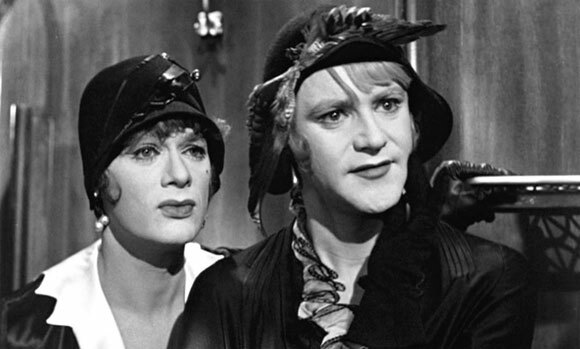 Undoubtedly, Billy Wilder’s comedy Some Like It Hot is one of the funniest, its charming allure made even more satisfying given the film’s ageless qualities. While Jack Lemmon and Tony Curtis win your heart, Marilyn Monroe steals it with that radiant screen presence. If ever a film lets you escape into its world for an hour or two, Some Like It Hot is that film. 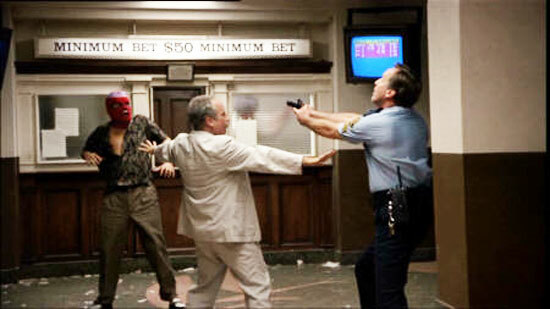 It’s also blessed with the funniest movie ending ever – a scene that will not fail to put a smile on your face. I’m biased towards this film because it’s a personal favourite but there’s hardly a moment when a couple of hours with Richard Dreyfuss isn’t an attractive proposition. As happy, feel-good films go, Let It Ride ticks all the boxes as a down-on-his-luck nice guy wins one bet after another during a day at the races, each time putting all his winnings on the next bet. He goes from a penniless cab driver to a millionaire in one day whilst also winning back his wife. 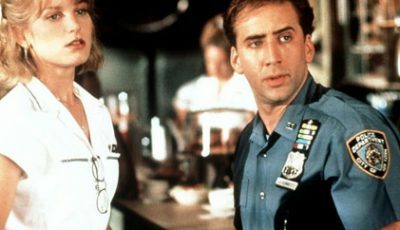 Road movies seem to be a great starting point for happy films. It’s the journey – both metaphorically and physically – that the audience and the characters take, discovering humanity and their own humanness along the way that is so appealing. Little Miss Sunshine is a vibrant, hopeful, and funny film. 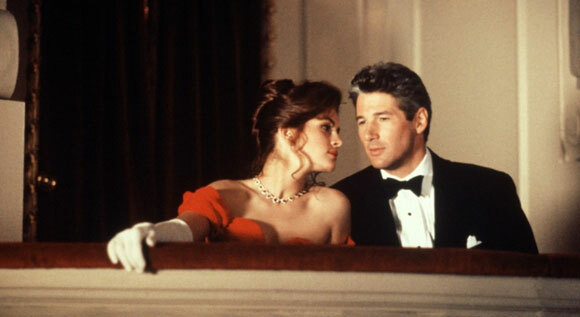 A good Hollywood romance is sure to put a smile on people’s faces, especially when it features Richard Gere scaling an apartment block with flowers gripped between teeth in order to confirm his undying love for Julia Roberts. 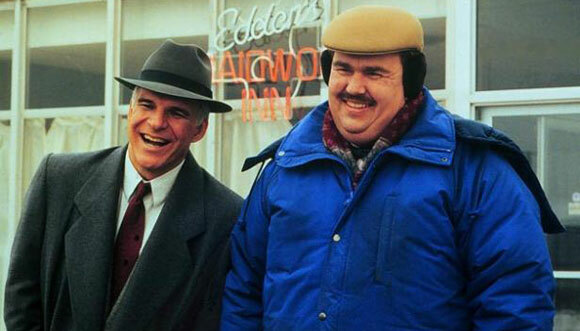 Bumbling, chaotic and bittersweet, John Hughes’ “happy” film is Planes, Trains and Automobiles. 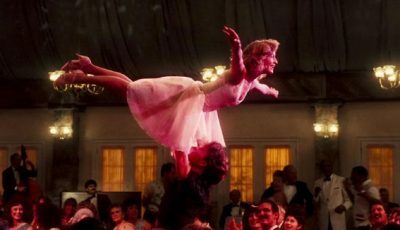 You’ll find it makes our top 10 1980s happy films list as well because of its wonderful ability to tickle the funny bone and pull at the heartstrings. 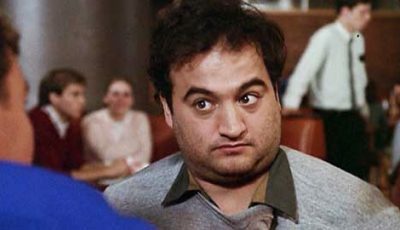 The film also features John Candy at his all-time best. 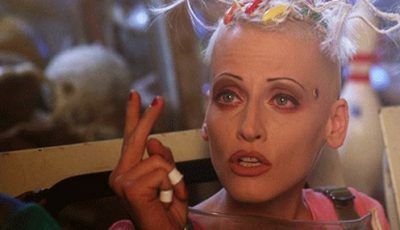 Over to you: what are your happy films? Great list. Definitely Planes Trains and Automobiles and Little Miss Sunshine for me. Nice list. Little Miss Sunshine stands out for me. 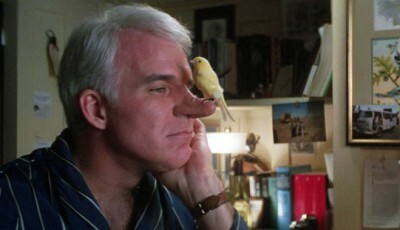 My go to happy film is Airplane and sometimes Naked Gun. Those Zucker-Zucker-Abrahams parodies are great fun. Good additions! Ghostbusters, Naked Gun and The Big Lebowski. Great list. If I was to add a few I’d say: Top Gun, The Mighty Ducks, Wizard Of Oz, The Sound Of Music, The 40 Year Old Virgin, Office Space and Meet The Parents. Can’t beat some of those happy endings! Some of my favourites include Hot Fuzz, Tomorrowland, Erin Brockovich, Guardians of the Galaxy, Knight and Day and pretty much everything with Peter Sellers in it. Ah… the great Peter Sellers – agreed. And I’m a big fan of Erin Brockovich – perfect addition. So happy to see Trains, Planes, and Automobiles here. You could probably put most of Hughes filmography on here but you chose the one most wouldn’t have first come to mind. Rightfully so you can’t but smile while watching this film. It’s very nice to see It’s A Wonderful Life included too. I think a good cheese factor addition would be Bill & Ted’s Excellent Adventure . 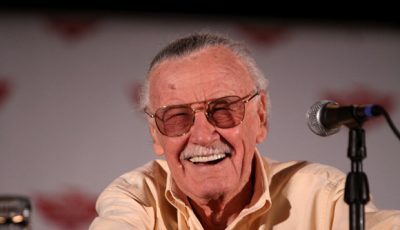 How could one watch that movie and not smile.